This article will focus around Rend Barbarians. If you are not familiar with this build, check youtube and other Diablo 3 forum pages for more information before starting. This is the fastest and easiest build to take down mobs on Monster Power 10. This build mainly focuses around killing large packs of white mobs quickly on high monster power levels. Many players have a difficult time taking down elite packs with this build but building Nephalem Valor stacks before starting your run will increase your experience by a huge amount. If you are having a difficult time killing elite packs on high monster power levels, purchase a Stone of Jordan on the auction house with 30% increased elite damage and any other barbarian stat. Use this ring when taking down elite packs and then switch back to your dps ring once you have 5 stacks. You will also want to make sure that you have the largest Ruby that you can afford in your helm as well as a Leoric's Signet and Hellfire Ring on your follower and a Hellfire ring on yourself for the maximum amount of experience gain per run. You can complete this run with other classes but as of right now, the Rend Barbarian is by far the fastest and most efficient. This run will consist of a few different zones with high mob density. Start a new game on the highest monster power that you can handle in Act 1 on any quest past the broken blade. This will give you access to the waypoints needed to complete this run. Start out by heading over to The Festering Woods. This is a great zone to start in because there are plenty of elite packs in a very tight space. This zone can spawn multiple elite packs as well as events that will also grant you Nephalem Valor stacks. You will find 1 guaranteed pack in each of the two dungeons on this map, Warrior's Rest and Crypt of the Ancients. Be sure to pick up as many stacks as possible in this zone to maximize experience gain in the following zones. If you are lucky, you will be able to pick up all 5 stacks in this zone. Most of the time you will finish this area with around 4 stacks. If you are having a hard time keeping Wrath of the Berzerker up in this area, avoid killing the white mobs and kite them around to help keep this buff active. Losing WoTB will greatly slow down your experience per hour. After you leave this area, head over to the Cemetery of the Forsaken waypoint and head south in to the Weeping Hollow. This area has a very large mob density and will help you complete your remaining Nephalem Valor stacks if needed. Head around the outside of this area killing everything in between and circle back to the waypoint. Once you have obtained 5 stacks of Nephalem Valor, avoid killing elite packs unless it is necessary. Large packs of white mobs will give you much more experience and taking the time to kill elite packs will greatly decrease your experience per hour. Next, you will want to head over to the Fields of Misery. This is currently one of the best zones in the game for mob density and overall experience gain. You will find huge packs of mobs as well as two important dungeons in this zone. Keep an eye out for the Scavenger's Den and the Decaying Crypt. Both of these zones have very high mob density and will grant you huge amounts of experience. If you find the Scavenger's Den, you will find that the dungeon will have 2 floors. Avoid going down into the second level because you will get stuck trying to fight off an elite pack before you will be able to port out. The first level of this dungeon will give you two different directions to choose from. One of these will circle all of the way back to the entrance and the other will go to level 2. Take the circle around back to the entrance killing everything on the way. The Decaying Crypt is by far the best area in Act 1 to farm experience. Inside this dungeon you will find huge packs of skeletons and summoners. Allow each of these summoners to raise skeletons before taking down each pack. This will grant you much more experience than if you were to kill the summoners first. This dungeon will also have 2 levels but avoid the second level and teleport out once you clear the first floor. From here, you can teleport back to town and start a new game or go back to finish up Fields of Misery or any other zone of your choosing. If you have already cleared these areas, start a new game and repeat this process. 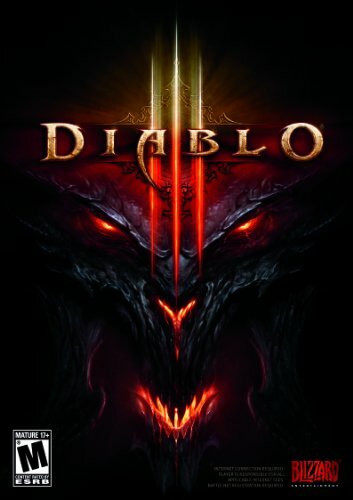 You will find that this is currently one of the fastest ways to gain paragon experience before the release of Paragon 2.0 and Diablo 3: Reaper of Souls. Blizzard and fan sites with datamined information have revealed that Wrath of the Berserker, as well as many of the other skills used in this build will be changed once these new features are released. Take advantage of this time to gain as much paragon experience as possible to get a jump start once this new feature is released. Once Paragon 2.0 is released, paragon experience from all of your characters will be rolled into 1 account-wide paragon level.